You know me well enough by now…I’ve got a tendency to be lazy when it comes to recipes. If I can a get great result with a simpler recipe, I’ll always go that way. Who needs complications in this crazy life? 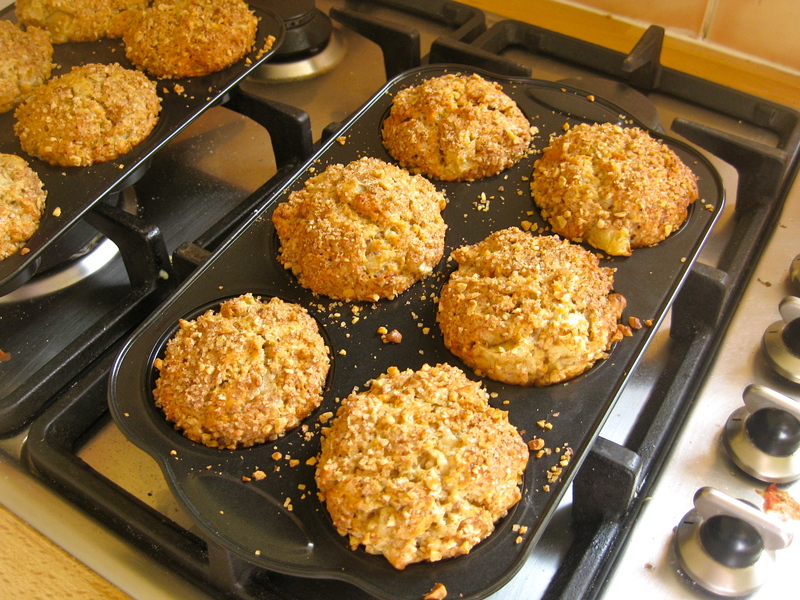 But these here Vanilla & Pear Muffins don’t fall into that category. First of all they contain both baking soda and baking powder…I mean really, do we need both? And then there’s the buttermilk, a lovely ingredient, but I can never taste it. So why have I then included this not-so-easy recipe in my repertoire? Well, the answer is complicated in itself, but I shall simplify. I was looking for vanilla muffin recipe, but they all seemed like cupcakes parading around as muffins. I want a modicum of nutrition if I’m going to offer them as breakfast options for the kids. So I figured buttermilk is kind of healthy and pears definitely are and I had a whole bag of them lying around. The last but not least important reason for this recipe? The topping. I love toppings. This one has walnuts, sugar and cinnamon. Nuff said. To make topping, combine the sugar, walnuts, and cinnamon in a small bowl. Set aside. 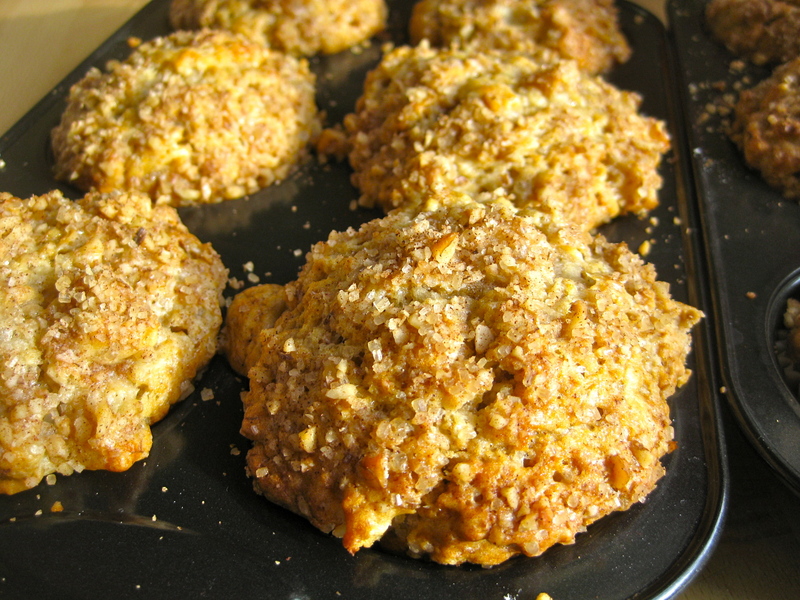 To make the muffins, combine all the dry ingredients (flour, sugar, cinnamon, baking powder, baking soda, salt) in a bowl. In another bowl, whisk together the eggs, oil, buttermilk and vanilla until blended. Add the dry ingredients to the wet ingredients, stirring just combined. Fold in the pears (and walnuts if you’re putting more in the mix) with a few strokes. Do not over mix. Spoon the batter into the muffin cups. Bake till golden.